Does This Dress Make Me Look Fat?…………No Dear! So there I was, hanging outside the ladies dressing rooms in Harrods, which is ancient Egyptian for RIP OFF, holding Heidi’s bag and waiting to tell her that her bottom did indeed look tiny in the dress she was trying on. I hate shopping as I have expressed before and standing outside that dressing room I moved shopping up to the number three spot of things I hate to do after dancing and wearing boxers. Why were we there then I hear you ask?………………..two words……………..Queen Victoria. I starred at the closet which contains the hundreds of dresses, shoes and my one coat hanger…………….now, a smart man would have told her that she had lots of beautiful dresses and would look stunning in a cloth sack……………but, as the match was about to start and I didn’t want to miss the start I said “OK, lets go shopping tomorrow.” …………. what an idiot……………….and that’s how I ended up hovering outside the dressing room at Harrods holding a Meow Meow bag looking like a complete and utter ………..well, let’s just say one man wearing a pink shirt gave me a wonderful smile as he passed. I felt like holding up a sign that read EXIT ONLY! Then, after I told Heidi that her bottom looked as tiny as Kate Mess the Supermodel in the dress it was onto the worst part of shopping……………..paying. Good grief, the dress was ………….well I can’t bring myself to type the amount, it is too painful. What I can tell you is that the dress is the same amount as hiring an Aston Martin for a day and then we had the suit and the shoes and the thing to put over your shoulders if its cold and etc etc…………………The sad thing is the dress will be worn once and then relegated to the vast depths of Heidi’s closet never to be seen again……………I hate shopping. So, Alan continues to improve (it is amazing) and Heidi and I are trying to relax as much as we can. I am sorry that I have not written for sometime and I will try and write more this week. I also see that the Imagination blog was very popular and the last I heard from Roberto was that we had 80,000 slaps for that one blog alone. You can also see how popular the blog was by the number of comments – 179 – that have been posted. Now, obviously I cannot reply to them all and therefore I thought I would reply just to the ones with direct questions and any that I feel need my attention. To start though I want to say hello to everyone who may have been reading this blog for the first time and mention that I cannot take the place of our fantastic Guest Relations department. Therefore, if I see someone who has shared a negative experience with all of us I will try and add my thoughts as well as pass on the comments to the relevant departments. I have read all the comments and without a doubt most people seem excited about the wonderful new additions on the Carnival Imagination. Heidi and I certainly are looking forward to our cruise on there and although I see a lot of you wish you could join us, please don’t worry, it was last minute and I am sure we will be together one day. Can I say hello to all my regular bloggers. Please accept my apologies if I do not reply to you directly on this blog thingy, but I promise to do so later this week. Here we go with the Q & A. To skip the Q&A, click here. DAVID AND MELANIE MYERS – Hello to you both, we are trying to rejuvenate here on vacation, however, I am still working most days and the addition of my Rasberry e-mail thingy has assured that I am in permanent contact with the office. We look forward to spending our week with you and our best regards until then. GREG BALDASARRI – Ahh yes, the next bloggers cruise. You asked me when we will know the when and where ……I promise to let you know before the end of this year and the choices at the moment seem to be Carnival Imagination or Carnival Inspiration. Glad you enjoyed the review and hope all is well with you mate. ROBIN IN NEW YORK- I am glad you are excited and I am too. See you on January 28 and let the great discussion on British and American toilet paper begin. See you all on the Carnival Imagination. FANCY BLUE – Hello Ms Fancy, or Hello Mr Blue. I read that you asked if you could bring your baby on the bloggers cruise and the answer is of course, yes. You also asked where and when the bloggers cruise is and the answer will be January 19, 2008 on board the Carnival Freedom. The ship will call at Cozumel, Grand Cayman and Ocho Rios, Jamaica. I see that you mentioned you did not like Jamaica, I promise you that if you go to the right places you will not find a more beautiful Caribbean experience. I hope you will be able to join the 1000+ bloggers who are sailing with us and if not this time, stand by for 2009 bloggers cruise details coming soon. All the best until then. Let me know if I can help you any further. CASSIE – I am sorry to hear that you missed out on the new additions to the Carnival Imagination. I guess this means you will have to sail again and discover just why we are all so proud of this magnificent ship. I am glad you had a wonderful time though and look forward to seeing your name again on another posting soon. PATTY KAY – Hello Patty. You asked why we do not have a 7-day cruise out of New Orleans. I also loved having the Carnival Conquest sail from this vibrant city and I am sure one day in the not too distant future we will again offer seven-day cruises from New Orleans. Later this week I will be posting an interview with the Port Director who I have asked to share with us all his thoughts on the past and the future of this great port. Carnival has, and continues to be, New Orleans biggest supporter and I hope that some time soon we will add to our existing operations there. I send you and your family kind regards. BARBARA McQUILLAN – Just a quick note to say, I hope you enjoyed sailing with us on the Carnival Freedom and Heidi and I send you our warmest regards. Hope to see you soon. CRUISINEAGLE – Thank you for your kind words and we return those to you and your family. SUSAN B – Don’t worry Susan, I promise after the bloggers cruise, the only thing you will need is a rest. I know you would have liked to have joined Heidi and I on the Carnival Imagination but it was a last minute thing and a chance for us to see the splendid additions that have been put in place. I will not be the Cruise Director and will take a backseat, however, I will blog every day and share my experiences with you. Thank you for all your kind thoughts, I hope you had a wonderful Thanksgiving. KATHY KROLL – Just a quick note to say Hello to you and Paul from Heidi and I.
DAVID CABAN – Hello David and thank you for taking the time to write. I really enjoyed your “Pearl Necklace” reference and the fact that one dull pearl can spoil the overall effect of the necklace itself. How right you are. I see that you were not content with some of the crewmembers on the last cruise you took on the Carnival Imagination. As I mentioned, I am not Carnival Cruise Lines’ Guest Relation Department, however, I want to apologize to you if indeed the crew did not provide you with the vacation experience you were expecting. I would be very interested to learn the specifics of your discontent, not to defend us as a company, but to forward them to the relevant onboard departments. In the cruise industry constructive criticism is worth his weight in Aston Martins and therefore as and when you have the time please let me know your concerns. Nothing is more important than guest satisfaction…….nothing. If you were to buy a barrel of 1000 apples you can guarantee that a few will be bad. Carnival is therefore committed to a ship full of good apples, no, make that the best apples you can buy and I hope that you will give us another chance to show you just why Carnival Cruise Lines continues to the be the World’s Most Popular Cruise Line. I therefore commit myself to assisting you in any way I can and to show you the world’s most beautiful and shiny example of a “pearl necklace” in this case, our crew. I look forward to hearing from you. SUSANNE AND LISA – Hello to you both down in Australia where I am sure you are enjoying a long hot summer. I appreciate so very much the time and expense for you and everyone else down under that is involved in just getting to the ship. It would be great if we could bring a ship nearer to you and these days nothing is out of the question. I think I am right in saying that our sister company Holland America will be cruising to Australia this coming year and I would not bet against you seeing the Carnival flag one day in the future next to the Sydney Opera House. I look forward to seeing you on the Carnival Splendor and I am sure it will be a magnificent time for us all. Aussie Aussie Aussie. JOAN – It seems that the Carnival Imagination is very special ship for you and your friends as it is for Heidi and I. You are right, the Carnival Imagination and Ocho Rios have special memories for both Heidi and I hope that you get a chance very soon to see for yourself the amazing rejuvenation that she has just received. I am glad you like your ring and maybe one day soon, you can show Heidi and I your beautiful stone when we cruise together. CROIX – You are correct. One thing is for certain that some of our Fantasy Class ships were indeed “eye-catching”. I think you will be very happy with the changes on both Carnival Imagination and Carnival Inspiration and eventually these changes will be made on the remaining Fantasy Class ships. Thank you for all your support as a Travel Agent and please continue to read this blog thingy as and when you can and I will continue to share stories of the sea. MURIEL – First of all, thank you for writing and I see that you are sailing on board the Diamond Princess to Hawaii next year. Carnival Corporation does indeed have Princess Cruises as part of its family. I see that you ask if there is anything that can be done to help celebrate your 40th anniversary while on board. Although there are no direct rewards because you have sailed on the Carnival Destiny in 1999 that are linked to your forthcoming Princess cruise, if you tell me via this blog thingy nearer the time of your sailing your name and cabin number I will be happy to let my friends on the Diamond Princess know, who will do their very best to make your anniversary cruise the most wondrous time. All the best until then and I am looking forward to hearing to you. JIM COLSON – Yes Jim, do we have gambling? Yes Sir! Carnival’s casinos are the biggest and finest casinos at sea. Our casinos have facilities that open from very early in the morning to very late at night and I wish you good luck next time you play. Take care mate. ALFRED PARODI – Ahh yes, the smoking issue. Now, I am not going to defend our policies on board but I will agree that it was indeed a very bad mistake for us to have guests walk through a smoking lounge to reach our Internet Cafes on the Destiny and Conquest class ships. I can tell you that smoking areas on our vessels are very limited and although you do say 70% of the ship to not smoke, I can tell you that all cruise lines know that we need to continue to provide areas for the many, many smokers who sail. However, I totally understand your frustration as a non-smoker and I am sure having all our entertainment areas as non-smoking (with the exception of our Piano Bar, Dance Club and Cigar Bar) is something you appreciate. We can and must do better, however, with the Internet Cafe entrance and I will be suggesting some modifications must be done. Thank you for sharing your frustration with us all and I hope that when you look back at your recent cruise you will find many happy memories as well. Please share with us any other thoughts you may have and I hope to hear from you soon. ZVI SHORER – I am very sorry to read that your last cruise was such a disappointment. You are indeed a valued guest and the fact that you were not invited to the Past Guest Cocktail Party was a big mistake on our part. Please accept my sincere apologies and I promise you, if you cruise with us again we will make sure you will have the best time and will be the first person invited to the party. DOTING GRANNY WITH AN ATTITUDE – What a wonderful screen name. I am scared of you already. Thank you for all your comments and you will be happy to know, all the carpet has indeed been replaced. We weren’t going to do this but we didn’t want to upset Granny. Hope to sail with you soon, so I can see some of that attitude for myself. JERALD LAIR – Yep, the chairs have no arms, so both you, Big Ed and many others will now not have to take the dining room chairs back to their cabins with them. I work on the Lazy Boys. Cheers mate. KAREN – You asked if there were any specials in July on the Carnival Imagination. I suggest you check with your Travel Agent or with a Carnival Personal Vacation Planner and maybe at the end of your next cruise your boyfriend will be your fiancé! If he needs help with commitment, please let me know. Have fun together and see you soon. ALAN OF DAVIE – Welcome home and I hope you had wonderful 26 days on the Carnival Freedom, it sounds like you did. There have been so many changes since your first cruise in 1985 on the Mardi Grass and there are many more to look forward to in the future. Wishing you all the best and hope to sail with you soon. DONNY MCGUIRE – You really must see the new Carnival Imagination. How about sailing on January 28 with Heidi and I? DEBORAH CABRAL – Deborah, you asked for as much information on the Carnival Imagination as you can get. Apart from checking www.carnival.com on a regular basis, I suggest you have a chat with a cruise professional Travel Agent or a Carnival Personal Vacation Planner. You can also check out my blog thingy now and then for more fun and information. Let me know if I can help you further. HOLLY AND SCOTT MAHER – It seems to me that your experience at bingo has detracted you from the wonderful service you received from the crew. It is a real shame that this one incident may stop you from sailing with us again. In life, it is often the bad stuff we remember and indeed, from what you have told me, it does seem that you were badly treated at the bingo game. However, I do hope that the many wonderful memories you have of your cruise will have you picking up the phone and booking another one again soon. What do you think? EDNA NELSON – Thank you for booking another cruise with us and my best to you and your sisters. Have a wonderful vacation. KIM PARKER – Aahhh yes, the swingers. I remember that letter and it was only later, having read it on live television that I realized that these people did not want to meet lovers of Swing music but wanted to meet …………well……….lovers. I see you are planning another cruise for 2009, do you know where and on what ship? Heidi and I send our very best to you and the family. LEE AND KELLI – Thank you for booking another cruise on the Carnival Imagination and I am sure that you will have an even better time with all the recent additions, especially the new water park which will give you some fun in the sun. My best to you and stay warm in Wisconsin. MARY JANE COFFEE – Thank you for your kind words and a big hello from us both. GLORIA FREGOLI – Great to hear from you. Was I the Cruise Director in 1992 for your honeymoon? I hope you get to see the renovations for yourself. I can picture your grandson having so much fun on the new slides. NY – It seems that your experience on the Carnival Imagination in April 2005 was not a happy one. I thank you so much for thinking of sailing again, even though you seem to have a lot of frustration still pending. I promise you that the crew of the Carnival Imagination will do everything they can to show you and your family just why this ship is so special. I apologize sincerely for the past and sincerely promise you that your next cruise will be one you will never forget for the right reasons. Please stay in touch with me via the blog and let me know as and when you decide to sail with us again. GEORI FILLMORE – Geori, you asked about the best way for a single chap to take a cruise without hurting the wallet too much. I would like you to call Carnival Cruise Lines and ask for a Personal Vacation Planner. Tell them your budget, tell them what you are looking to do and I promise you, they will show you the way. Let me know how it goes. LINDA SMITH – Thank you for taking 12 Carnival cruises. Do you have your shiny new Platinum card? The adult only areas are proving to be very popular and eventually will be fleet wide. See you on cruise number 13, which hopefully will be lucky 13 and will be with me. KAREN REYNOLDS – Wishing you smoother seas on your next cruise. It sounds like you had quite a ride on the celebration. Please give my best to Burt. GEORGE AND JANET SPRINGER – What a wonderful posting and I have very fond memories of that Inaugural cruise on the Carnival Imagination. Your posting was also full of compliments for our Carnival crew which is so refreshing to hear. May I wish you both happiness and fun for the future and hopefully some of that happiness and fun will be shared with us on another Carnival ship soon. CRYSTAL MENDEZ – And a Happy Thanksgiving to you and welcome back from what sounds like a fantastic Carnival Paradise cruise. RALPH FORTE – Thank you for your kind words. LOU AND PAT – Lou, always listen to your wife. She is the boss. See you on your next cruise. CARMEN ASEN – It seems like the Carnival Imagination is a favorite ship of many. I hope you get to see the new Carnival Imagination soon. BOBBIE CLARK – The Cruise Director on the Carnival Imagination will be George Solano. Your previous Cruise Director Malcolm is currently serving on board the Carnival Victory. As a single parent you must have many challenges and pressures which hopefully you find are lessened when you walk on the gangway. Please let me know if there is anything I can do for you. Say HI to the kids. BOB AND BARBIE WINTERS – It seems, the chairs with no arms are very popular. I know I appreciate them. In order for Carnival to continue to be the World’s Most Popular Cruise Line, we all know we must continue to improve in each and every way. This blog is one of the many ways that Carnival guests can add their thoughts to what they want to see and I promise you that I will use all my abilities to assist in continuing to make everyone’s cruise experience the best ever. The Carnival Imagination will not be sailing on 7 or 12 day cruises; however, we have many ships that do. Have you ever cruised the Med? Why not give it a try, it is simply the best. LIONEL SOOKOO – I just wanted to wish you and your family (all 22 of you) best wishes and thank you so very much for sharing your valuable family time with us here at Carnival. YASMINE, EWAN, TONY-JA – Ya Mon! ‘Nough respec. I love Jamaica and it’s great to hear from some Jamaicans who enjoyed their Carnival Imagination cruise. I have forwarded your compliments of your Maitre’ D Nilson to his boss in the office. Come and see the Carnival Imagination now, you won’t believe your eyes. Until then, hope everything is Irie and me soon come. CANUCK CRUISER – Hope all is well down there in Canada. I am glad you enjoyed the interview with Miles and PA 007 will let me know when the Carnival Fascination is to receive all the upgrades. I hope the Cowboys are still doing well. My Miami Heat beat The Hawks but are still not playing to their potential. I think they need me to start as point guard. Heidi and I are indeed enjoying our vacation and thank you as always for such kind words. JOEL A. GREFF – Oh, good grief. This blog thingy has had 1,200,000 hits and yet you are the first person who remembers me as a Bartender. I do indeed remember your pyramid of shot glasses and I also remember making you my special shot which I remember we ended up calling the British Bomber. Those days seem so long ago and I think watching you and the gang drink those concoctions was one of the reasons I no longer drink. It would be wonderful if you could get the gang together and come and cruise with me again some day. Thank you for the memories and stay in touch please mate. Cheers. RHONDA – Welcome back from your cruise on the Carnival Glory. Did you meet Wee Jimmy? You asked what specials we have. I don’t have that information, just give a quick call to your Travel Agent or Carnival Vacation Planner and let them tell you what’s going on. HAROLD DAVIDOFF – Congratulations on your engagement and I am glad the Carnival Imagination played some part in your bonding. You will be happy to know, since you sailed we have fortified all the beds, ready for your honeymoon cruise. Congratulations. SANDRA – I hope so too. Happy anniversary. CINDY O’BRIEN – I just wanted to say Thank you for mentioning our wonderful crew. 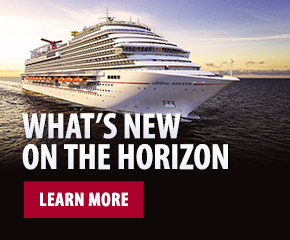 I know you will love your next cruise on the Carnival Imagination. Thanks again. ANGELA MELWANI – Hello to you there in Hong Kong. Have you seen my sister? She lives there now. It was wonderful sharing such happy times with you and Prakash and I hope he enjoyed his time as James Brown. I hope we also sail together very soon and my best to you both. ALAN HUNT – It will be hard for me to find the words that will have any effect on getting you to change your mind and your final words stating that I do not care could not be further from the truth. I do not know the specifics about your lost luggage, although I can only imagine, having had lost luggage myself, how frustrated and angry you must have felt. The word sorry will not make much difference to you, I am sure, however, sorry is what I am. Mistakes happen in every walk of life, we are no different here at Carnival. We make mistakes, we make them often, but one thing I promise and assure you is that we do care and we do our very best to learn by them. Do you have any happy memories of the cruise? Actually, you must have as I see the luggage was lost during the debarkation process. I hope you can find memories that are indeed happy ones and that they will, along with my sincere apologies, have you re-considering cruising with us again. What can I do to make this happen? Please let me know. I am just a simple Cruise Director but one who wants to help. All of us here at Carnival do care and therefore let’s chat some more and see what we can do for you. Thank you for your time. JACK GARRISON – Hello Jack. I am sorry to say that I doubt you will ever see an adults only cruise as a regular addition to our fleet. However, with the new adults only areas being installed across the fleet, this will hopefully be something that you will enjoy. Cheers mate. PETER AND BEVERLY VAN ARSDALE – Heidi and I wanted to return your kind thoughts and wishes to you and your family, we hope to see you all very soon. TRISH IN CANADA – Thank you. Another fan of the dining room chairs without the arms. I think we did a good think here. EDUARDO – Thanks mate, those were very kind words. I hope we get to sail with each other again very soon. JOE KYLE – Thanks for the kind words about the blog and I know you will have a wonderful time on the Carnival Ecstasy. Let me know when you get back how it was. Best to you all. PEANUTS – The Carnival Imagination as you and I and many others have mentioned, really does have a special feeling. Congratulations in advance to your daughter on her Masters degree and I am sure that you and the family will experience another wonderful Fun Ship cruise. Your comments about our crew mean the world to all of us and please keep writing and reading this blog thingy. Heidi sends you her best, as do I. Cheers. BIG ED – If I told you what was in a British Bomber, I am sure you would not want to taste one. Carnival seems to have hit the jackpot by taking the arms of the chairs in the dining room. We are now working on the bathrobes. Cheers mate. JERRI GREEN – Hope the turkey came out well and please send our best to your Carnival Agent Juan Rodriguez. Hope you win the lottery and thanks for such kind words. JOHN TURNBERG – Let me correct you, because as you can see, we post all the comments on my blog. Both negative and positive. The majority are positive, because after all, this is a positive blog about life, cruising and fun. However, occasionally, we make mistakes and when people are not satifisfied it is very important that their comments be heard as well, as in your case. I appreciate though your kind words about Camp Carnival and you will be happy to know that all tips given to the Camp Carnival Staff for babysitting services are indeed pooled amongst the staff. However, you are indeed correct; we should acknowledge the work they do more often. For those of us who do not travel with children, maybe this is something we do not quite understand. I will certainly do my best to encourage the fleet to change this and make sure their hard work does not go unnoticed. You mentioned the Carnival Imagination was showing signs of wear and tear and you are correct, this is why the ship was send to dry dock and million of dollars were spend on her rejuvenation. Thank you John and I want to leave you in the knowledge that this is my blog. This is not a company blog and all comments both good and bad will be slapped on, each and every day. It is something I insist on. Is there anything I can do for you? All the best until I hear from you again. CHANTELLE – I wanted you to know that I have forwarded your comments to the Director involved in our communication with Travel Agents. Please expect a reply very soon and if you do not receive it, please make sure you will let me know. My apologies for your disappointment and I will check in with you soon. LOIS GRABATURKEYSKI – Just wanted to wish you a Happy Thanksgiving and make sure you are well. Best from us both. MR AND MRS RHODES – Goodness me, how amazing to think the reason you are now a Travel Agent is because of me. I want to wish you much success and I hope your love of cruising can now be passed on to many others who will experience it for the first time. My best to you and your family and have a great cruise to Hawaii. BONNIE PILON – How wonderful that you have cruised with me on three different occasions. Have a look at the website and it will show you all the ports we will call at on the January 28 cruise. Can you come and see us? I truly hope so. MIKE O – Many people agree with you Mike that with the building of these huge ships, some carrying nearly 5,000 guests, that the Fantasy class remains their favorite. You will love the new adults only areas and your comments about the pool areas are well received. I hope you get a change to experience this for yourself very soon. Cheers mate. ALEEY AND DAVE – Here is proof as I see you both recently returned from your Carnival Imagination cruise and it appears you had a fantastic time. I am glad you enjoyed it so very much and your report will no doubt encourage others to book. Thanks to you both and all the best. JOANNA GRIFFEY – Glad you had such a wonderful time with me on the Carnival Liberty. I will be on the Carnival Freedom in February and March and then on to the new ship, Carnival Splendor. You asked about the ports of call of the Carnival Imagination, so just have a look at the website. Hope we sail together again very soon. Best to you both. DOUG WALL – Welcome back from your Carnival Imagination cruise. I was sorry to hear that your stateroom was so cold. Usually, if we get negative comments about air-conditioning is that the rooms are too warm. The ship was fresh out of dry dock and it takes a while to balance the system to the right temperature. This of course won’t help you, however, it is a fact and one that I hope you will take into consideration. Please accept my personal apologies and now let’s chat about debarkation. If there was one area that we must improve on, it’s in our debarkation process. I remember the days not so long ago, that the ships reached its homeport, the gangways would go out and the guests would just walk off at their leisure. Nowadays, the world is a different place and so much of what we do in our everyday lives are affected by the climate of security that we live in. Again, we must do better but I have to tell you that the debarkation system is the same for every cruise line. All of us are under the strict rules and regulations of the office of Homeland Security and directly United States Customs and Immigration Service. Can we do things better on board? Yes, I think we probably can, however, will it expedite the system? No, I am afraid it will not. Airports, Seaports and other transportation hubs will, I am sure, continue to provide us with frustrating times. However, we must remember that because these items were not in place that ………well, you know, the world changed. So, we will do better and I apologize that you had to wait to disembark. You mentioned that people made cattle noises while standing in line. Why do they not do this at airports at the long lines for check in and security checks? I wish people would treat cruise lines with the same respect; after all, it is the same people enforcing those checks as on our ships. I hope you had a wonderful Thanksgiving and thank you so much for taking the time to post your thoughts and hope to hear from you again soon. RAY CZENSZAK – Judging by your comments I think the Xerox Corporation must have been very thankful to have had you as an employee. Your passion and love for life shines through and I am sure that was the case at your workplace as well. Thank you so much for sharing your passion for life and your love of cruising with us and hopefully one day soon we care share our passion together………………OK, that didn’t sound quite right……….I really do not want to share any passion with you but I meant our passion for…………well, you know what I mean. Love and kisses………..just kidding …………… cheers Ray. ESPERANZA – I was interested to read that you would like to have one of your singers audition for our ships. Have you contacted our Entertainment Department? May I suggest you send the young ladies details to our office and address the envelope to our Director of Entertainment, Chris Prideaux. We love all Latin music at Carnival and I wish her and you the best of luck. I have also sent the website to Chris so he can have a look Thanks and adios and mucho grassyarse. NORA ABOU-TAYEH – I was so disappointed to learn of your misgivings at recommending Carnival following your recent cruise. Isn’t life fascinating? Millions of people will say they had the best time ever and want to stand on a mountain top and shout “I love Carnival” while a few seem to have the worst time. I hope that you will reconsider and come back and sail with us again and let me try personally to show you all why Carnival is loved by so many people. Please accept my apologies for your experience and maybe you could let me know what you feel we could improve on. EVE BUCHHOLZ – There you go, once again more proof of my statement to Nora above with Eve and her family declaring themselves as “Carnival” people. It’s a funny old world is it not? I am so happy you had such a wonderful time with me on the Carnival Freedom and I agree, the Med is a very special place to cruise around. I see you also recently cruised on the Carnival Pride and indeed, you really are Carnival people and long may that continue. All the best and hope to see you soon. JOAN BALDWIN – It seems that we have more Carnival People in Joan and her family. Thank you Joan for your support and I remember our European Cruise Vacation with fond memories as well. Have fun on your forthcoming cruise and I wish I was there to experience it with you. 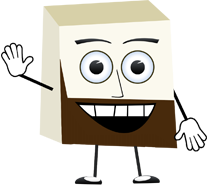 MIKE – You will be happy to know that your Hot Tubs are still there and ready and waiting for you. I am sure it must be difficult to look out of your office window everyday and see the Carnival Inspiration and not be onboard sharing in the fun. I hope you get to rectify this soon and see for yourself the new innovations that have been put in place and which will enhance your fun even more. Cheers. ALISON RAMIREZ – I am not sure what you mean about the food Alison. Obviously we are constantly changing our choices and menus fleet wide but if you have a specific comment I would appreciate you letting me know so I can pass it along to those at Senior Management in our Food and Beverage department. Thank you though for looking at the positives and how much they outweigh the negatives, I truly wish more people were like you, not just about cruising but about life itself. Hope to hear from you soon and all the best. DIANE, VANCOVER – How wonderful to hear from someone who took a back-to-back trip on both Eastern and Western Mediterranean cruises on the Carnival Freedom. I truly hope you have so many wonderful memories stored for the dark days of winter ahead. Glad you liked the Morning Shows, I certainly love hosting them. My best to you and everyone in Vancouver and keep in the secrets safe will you 🙂 Until we see each other again, my sincere regards to you and the family. LINDA – MOM OF DJ – It will be an honour to meet you and especially to meet DJ. VIVIAN KERSTEIN – Just a quick note to wish you a wonderful cruise on the Carnival Imagination in December. Have fun and let us know via this blog thingy when you get back what the highlights were. EMMERSON ASHTON – First of all, welcome back from the Carnival Freedom and I hope you had a wonderful time. As a diabetic myself I read with interest your comments on the food and I agree that we should indeed have more sugar free choices and continue to be careful with our salt content. I am continuing to work with my friends in F&B and I am positive you will continue to see more improvements over the next few months. We have already added a sugar free dessert every night in the dining room and will work from there. Is there anything you particularly wish to see added? I am sure coming all the way from New Zealand must have been a long and hectic trip so we all appreciate you sailing with us even more. I know it is difficult to get information about sailings there and while we continue to improve this as well please use me as your personal Q&A agent and if you decide to book again please address any concerns and questions you may have to me via this blog thingy. I hope to hear from you soon mate and I remain at your service. CHEF JERRY TAYLOR – Nothing makes me more upset (apart from the price I just paid for my wife’s dress) then hearing someone with the challenges you face everyday was not happy with the service during your recent cruise. As you can see from the prompt response you received from Carnival we really strive to be an industry leader when it comes to offering facilities to guests in wheelchairs. Chef, please stay in touch with me as I take a personal interest in this and would like to hear your continuing thoughts. You face challenges everyday of your life I am sure so on vacation we at carnival must do our best to dilute those challenges as best we can. All the best and I look forward to your next posting. LESLIE – You brought back many memories Leslie of that first Carnival Imagination cruise. I hope we get to sail with each other again very soon. Cheers. MIGUEL FUENTES – Mate, I am so sorry but your posting is in Spanish and I no comprende. Please forgive me and maybe you could re write in English for me? I hope so. Adios Amigomate. SONIA – please go to the website to discover more about the ship and her ports of call. Hope you sail on her soon. cheers. MANSON PATRON – Look out for a guest interview very soon all about New Orleans. FRAN – The Carnival Inspiration will not be sailing from Cape Canaveral however you have two ships from there in the Carnival Fantasy and the Carnival Glory. It may be worth a trip across to Tampa though and see the new features of the Carnival Inspiration that will soon be in place on the Carnival Fantasy as well. Hope this helps. LEE AND KELLI – Thanks for a wonderful posting. It seems you truly love Carnival. I hope you have many more happy times on our ships. EDISON – Please can you have your comments written in English. I apologize but my Spanish is very poco. Hope to hear from you very soon. LYNN – I was so upset to hear that you have switched to Royal Caribbean because of an incident with two children. I apologize as should their parents for their behaviour but I am sure you will have seen ill behaved kids on RCI as well. You should have received an apology from the management onboard and I can understand your frustration. You said Carnival was your favorite until this incident and I am now dedicating myself to getting you back home. What can I do to persuade you? Please again accept my apologies and please come home. KRISTEN L – It seems you know what you want and that’s a cruise on the Carnival Imagination. Anyway, it will be February before you know it and you will be experiencing all the fun and great service you mentioned in your posting. Until then, please keep reading the blog and hopefully it will keep you going. All the best and hang in there. MIKE AND DEE MORSE – Hello Inspector Morse……..sorry, I could not resist that. You are correct when you say your tenth Carnival cruise will open a drawer full of special privileges for you to enjoy as Platinum guests. I hope you enjoy each and every one of them and I wish I was there to see the smiles on your faces. MARK CHAMBLISS – Indeed, living in the UK is very expensive especially as I am paid in dollars and with the dollar as weak as the French army. The bloggers cruise is coming along well and we have a lot of things sorted now. I will reveal more very soon. I miss the ship but I need this time to relax and just not having the phone ring 100 times a day and being able to walk from A to B without being recognized is worth a lot. Glad you enjoyed the interview with Miles and thanks mate for your support of this blog thingy of mine. Cheers. CHEF JERRY TAYLOR – Chef, as you can see each and every comment is posted, good or bad. As I mentioned before, it is something I insist on. Thanks mate. SYLVIA S – I am so happy that you like Carnival so much and sorry though that you find the ships too cold. We do keep our ships at specific temperatures to try and please everyone and obviously we can do better for you. If you find a room too cold please let a staff member know ASAP. Stay warm and hope we sail together soon. KELLY – Thank you so much for the kind words Kelly and they have meant the world to me. I also hope we get to sail together again very soon. Until then I hope you will be a regular visitor to this blog thingy. Cheers. CINDY56 – Are there any other single sailors out there who can sail on the carnival Imagination on the 28th? Hope someone replies Cindy and I hope to see you in January. RASHAAD EMROY – the purpose of me showing everyone the new Carnival Imagination was indeed done in the hope that guests would want to sail. We are indeed in the business of making money like any other company in business but we are equally committed to giving our guests the best possible time, especially our loyal past guests. It is a shame that unlike most of the other people who took the time to say how great the ship looks you choose to complain that the blog did not include an offer of discount. Please check with your travel agent whom will let you know what discounts are indeed available. Hope to see you soon Rashaad. KAMAR – Hello to you in Mobile Alabama. Indeed, you deserve to have a new ship sail from there as we know it is a very popular port for many people. Let’s see what the future holds for Mobile, I am sure it will be a bright and happy one. NEAL F. – I agree mate and hopefully very soon it will happen. Look out for an interview with someone special from New Orleans. My best wishes to you and everyone from there. PAM AND DANNY – How kind of you to say those words about me. I hope we sail together soon, maybe on the 2009 Bloggers Cruise. …………….what do you think? DWA 76 – hello mate. Great to hear from you and glad you liked the recent interview and highlight feature on the Carnival Imagination. Hope things are well with you and my best to the family. KATE – I have a feeling you will love the improvements, especially the bathrooms! RICK AND CAROL – I have just framed your comments. ……………..thanks and my best to you both. GERALD AND CAROLYN SMITH – May I suggest that if you do not have a travel agent you are comfortable with you should call 1-800-FUN-SHIP or 305 599-2600 and ask for a Personal Vacation Planner. These young ladies and gents are there for you and will help you with payments etc. meanwhile, if you have questions about ships and ports etc you can ask them or indeed I will be happy to help you. All the best to you both and bon voyage. DAVE KUZIO – What a brilliant posting and thank you so much for the support. As you mentioned and as did I mistakes happen and improvements need to be made on a constant basis and we at Carnival and me as its Senior Cruise Director will make sure we continue to listen to peoples concerns. I hope as I see you do that people think of the great times they have on a cruise vacation rather than the one small negative or area that needs improvement. We need to hear these comments though and I hope this blog is in some small way able to help. Thanks mate and your comments are very welcome. THOMAS ROBINSON – I wonder how many others are out there who like you thought that cruising was not for them and even think its the worst possible type of holiday. Then, they try it and discover as you did that it is the best vacation in the world……………………ever! I hope that maybe some of those people will have read your comments and that it will encourage them to see for themselves. Thanks mate so very much. MARIA STEWART – I have never been called a great teaser before………..well there was the one time but that story is for another day. I am so glad you had a wonderful time on your recent cruise and I hope you will allow me to create new ones for you very soon. Please sail again and hopefully it will be with me. All the best and thanks again. LARRY AND KAY – It’s amazing that you are the fourth person to comment on this blog that you were on the hastily put together inaugural cruise on the Carnival Imagination due to the fire on the Celebration. I was so happy to hear that you have such wonderful memories of this cruise though as indeed do I. Please keep reading the blog thingy and hopefully I can cruise with you again very soon. SHELLY M – Tell your boyfriend there is no better place to propose than a Carnival cruise ship!!! SHIRLEY MORGAN – Thank you for your kind words. Please have as much fun on your next Carnival vacation and check in on the blog now and then. LINDA – Thank you for your positive reports on how helpful our staff were when the airline lost your luggage. Thank you also for your praise of all the crew. They do indeed work very hard and I am proud to work alongside them. Thanks Linda and hope your cruise in May is the best yet. YOUSEF A RAHMAN – WOW, what amazing words Yousef and the having read them the words thank you do not seem enough. I am so happy you enjoyed your time on the Carnival Freedom and my sincere best wishes to you and the family in beautiful Cairo. CHANTAL – thank you for…………well………….you know. KAI AND KATHY H – I am so sorry that you did not enjoy your time on the Carnival Valor because of our smoking guests. I guess that because no cruise line not just Carnival offer a smoke free ship that the industries feeling is that we must offer facilities to everyone. Certainly we need to continue to improve in this area and I am sure you will see more changes down the road. Until then please accept my apologies for the smoke from the neighboring balconies which you obviously did not appreciate. One thing we have to do is to follow up on our non-smoking areas and the crew must as you say enforce these policies. I am going to make sure this happens as best I can. Thank you for the time you took to post your thoughts and I assure you we will continue to do our best to improve in this area. LINDA CARTER – You say you are ready for a bigger ship having sailed the Holiday from Mobile. May I suggest the Carnival Conquest from Galveston or the Carnival Inspiration from Tampa? Let me know if I can help you decide. JP HANLIN – Obviously, the upgrades were desperately needed on the Carnival Imagination and isn’t it wonderful that Carnival is prepared to invest in its current stock as well as just building new vessels. I liked your suggestions and I think the nightclub idea is very relevant. I am sure you will have a terrific New Years Eve cruise if you decide to book and if you keep reading the blog thingy you will find all the latest news and interviews from the cruise world and some random thoughts from me about life. My best to you. BRYAN – Your favorite vessel Fantasy will soon become the Carnival fantasy complete with all the trimmings. Cheers mate. HELEN J – Never a truer word has been written. Life is what you make of it and indeed the same can be said of cruising. I am sure you and your “park”………..what does that mean by the way…………will have a brilliant time on the Carnival Victory and many thanks for the great posting. LINDA HERNACKI – Hello Linda and welcome back. I am so happy you had a wonderful time on the Carnival Freedom and I again am sorry I could not be with you. I will send you information on the 2009 Bloggers Cruise very soon and I think we may go for Carnival Imagination and Carnival Inspiration just after spring. I am glad you got the book and I will see you one day to sign it for you. Heidi did indeed get her gifts and look out for a special card from us very soon. My best to Mike and thank him for noticing the light bulbs that needed changing. Welcome home and it is great to read your comments again, we missed you. OK – that is enough for now as my two fingers I use to type with are weeping blood and pus………too much info I am sure but I share everything with you. I will answer more questions at the end of the week. I will however post some more short blogs during the next few days once my two fingers have stopped bleeding. I wonder if the passengers who were cruising on the Explorer in the frozen waters of the Antarctic paid attention at the lifeboat drill……………I think they did. Everyone survived and reports indicate that each and every passenger new exactly what to do. In an emergency situation on a ship the captain and crew are trained in what to do …………. however……….nothing is more important than the calm and orderly cooperation of the passengers and that is exactly what happened as the ship listed and eventually sunk. The passengers stayed calm, they had listened to the drills and new exactly what to do. the result…………….everyone is safe. Next time you cruise, please listen to the drill; please remember what to do as you never know what is going to happen. It is Monday and it is 3 pm and already it’s dark outside. After I press send and this blog thingy goes off to Roberto in the office I am going to clean the car. I had it done professionally yesterday and even though it is a rental and not mine I hate driving a dirty car. As I said it was cleaned yesterday but overnight the car was attacked by a gang of pigeons all of which had eaten rat that was not cooked properly and therefore they decided to decorate my car. With green and white lumps of ……..rat ………………..bugger. Tonight, Heidi and I are going to dinner with my Mum and Dad. I intend to wear a very old pair of trousers that just fit me and I will ask Heidi if they make my bottom look fat……….I wonder what she will say?